Here’s the new cover for L.M. 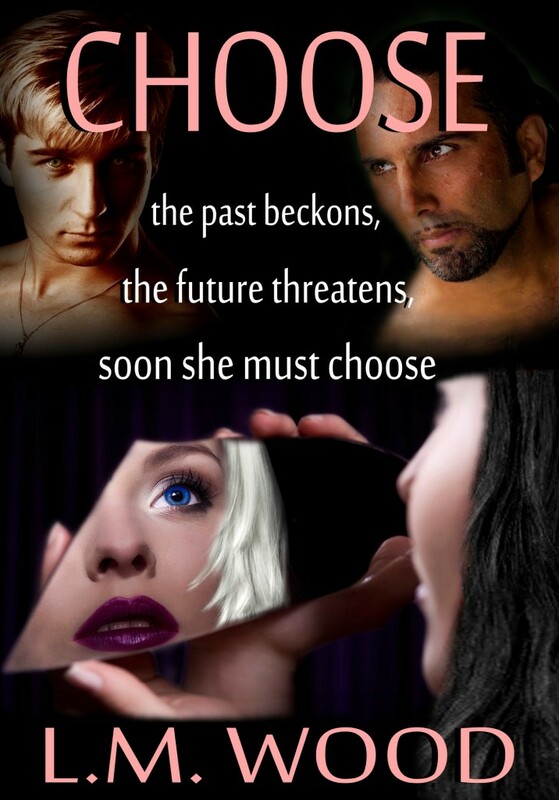 Wood’s novel Choose (Awakening Series). Please visit L.M.’s website at http://eternallynow.wordpress.com or you can buy Awakening at Amazon. Each of us lives two lives simultaneously: the one we put on when we are born into this passing existence of flesh and bone, and the one that is always, forever, eternally ours. Occasionally our current incarnation might nod in acknowledgment of who we once were as if to a casual acquaintance we brush by on our way to another appointment. As long as those contacts remain but the whisper of a memory, a dream we wake up from each morning, we manage to coexist in a single body. But when our two selves collide, when our lives overlap intimately and we can no longer coexist as two separate selves, then a choice is forced upon us. We must either integrate the two or go mad, at least in the eyes of this illusory world. She needs to remember. She has to go back. The last Daughter of Avignon is going home.